When is Father's Day in United States? What day is Father's Day in United States? When is Father's Day in United States? Question: What day is Father's Day in United States? Do they celebrate Father's Day in United States? Yes, like most countries in the world, Father's Day is celebrated and observed in United States. You have come to the right place to find out when Father's Day is in United States. Father's Day in United States is always celebrated and observed on Third Sunday of June each year. Never forget Father's Day in United States again! 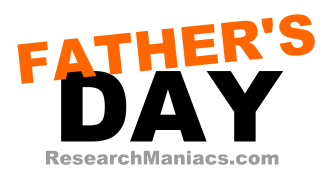 Below is a list of past and future Father's Days in United States. Add them to your calendar!